Writer Tom Taylor starts this issue with the narration above, quickly summarizing the tragic arc of Jean Grey. It was a violent life, and the bullet points of her story are mostly bummers. Over Scott Summer’s grave, Jean promises that this time is going to be different, and this annual is all about what that might look like. Taylor and artist Pascal Alixe offer an issue full of love, understanding, and difficult conversations. Jean’s still here to win, but it’s not war she’s waging. It’s peace. This issue opens with a heartbreaking flashback sequence chronicling the simultaneous loss of innocence for two young girls. One is Amber Griffen, whose father was killed at his first day on the job protecting a presidential candidate. The other is Laura Kinney, who was the assassin sent to kill that candidate (and anyone else within clawing distance). Years later, it’s easy to understand why these women would be enemies, but Tom Taylor and Djibril Morissette-Phan take care to demonstrate that Laura is every bit as victimized by these events as Amber, telling their stories in parallel to drive that point home. Today, Patrick and Taylor are discussing Ghost Rider 1, originally released November 30th, 2016. As always, this article containers SPOILERS! 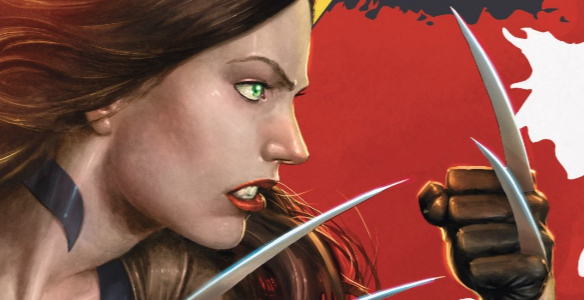 Today,Taylor and Spencer are discussing All-New Wolverine 9, originally released June 1st, 2015. Taylor: In middle school I was a wallflower. I would go to dances with the hopes of dancing with a girl only to find myself retreating to the sidelines once the first few bars of a slow song wafted their way across the gym. By doing so I guaranteed my safety, even though that also guaranteed my mission to dance with a girl would fail. There was, and continues to be, safety in fading into the background. There, you aren’t the focus of attention, you can be overlooked, and most importantly, you’re just part of a larger tapestry. But that doesn’t mean you’re any less important than those people on the dance floor; you’re just different. 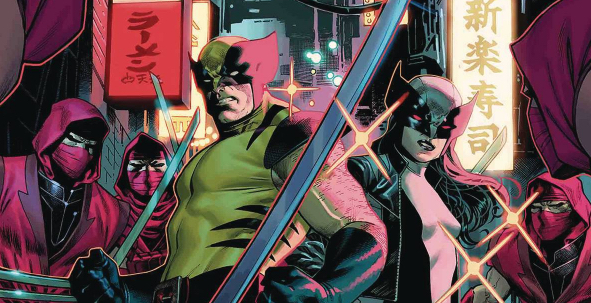 The same can be said for comics, where background, while often overlooked, is an integral part of the art, as All-New Wolverine 9 demonstrates. Today, Michael and Patrick are discussing All-New Wolverine 3, originally released December 30th, 2015. Today, Michael and Patrick are discussing All-New X-Men 1, originally released December 2nd, 2015. Today, Drew and Michael are discussing All-New X-Men 41, originally released June 3rd, 2015. …it was a good metaphor for what was happening with the civil rights movement in the country at that time. Today, Ryan and Michael are discussing All-New X-Men 40, originally released April 22nd, 2015.